For the last couple of years, Chris and I have had to consciously work on slowing our lives down and embracing what is really important to us. “It’s about the journey, not the destination,” we remind ourselves. This sounds simple enough, but when things get busy and it feels like there is never quite enough time to get everything done, it’s easy to forget. This weekend we photographed a beautiful wedding in French Camp, CA. 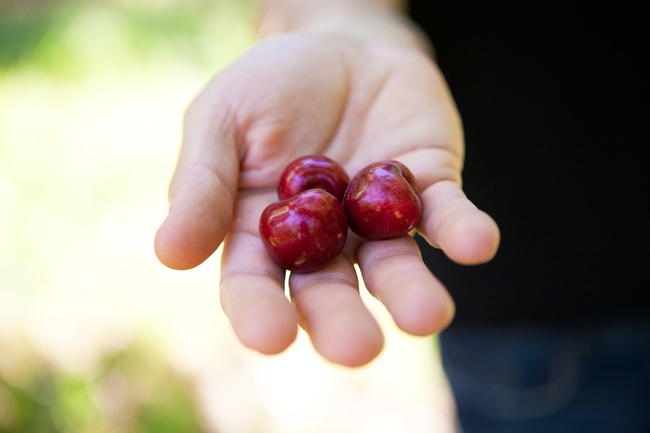 As we were driving home on Sunday morning, we saw a sign for U-Pick Organic Cherries on the side of the road. Although we were pretty tired and had lots of work to do when we got home, we decided to put that all aside and seize the wonderful opportunity life had presented us. So we grabbed a bucket, our cameras, and embraced the beautiful morning! Enos Family Farm is located in Brentwood, CA on the corner of Marsh Creek Road and Walnut Blvd. 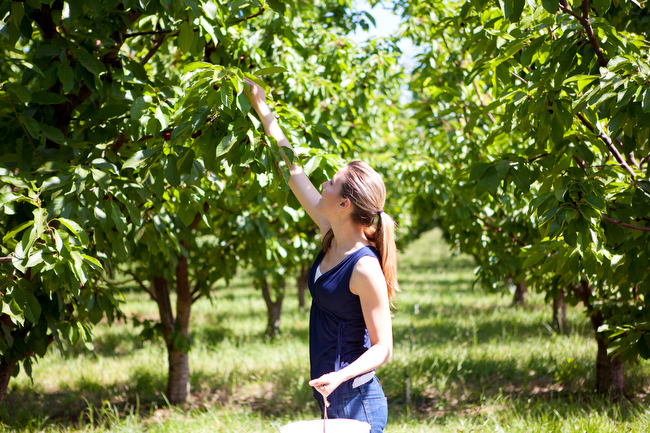 Although there are many other “U-Pick” farms in that area, we chose this one because it was organic. And at only $3.50/lb (2lb. min per adult) it was a great deal! 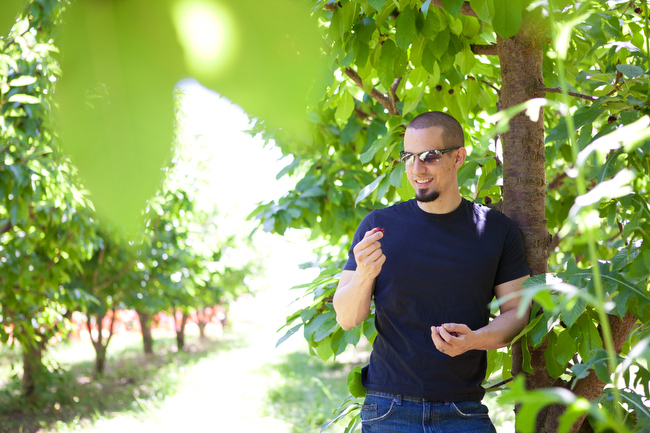 We spent the morning strolling through the orchards, listening to the little kids around us get excited every time they plucked a juicy cherry from it’s branch, and laughed at how wonderful life can be when you just take the time to appreciate it. My love helping to fill up our bucket. And us enjoying the fruits of our labor while we take in the beautiful day. “Time is free, but it’s priceless. You can’t own it, but you can use it. You can’t keep it, but you can spend it. I just love this post. 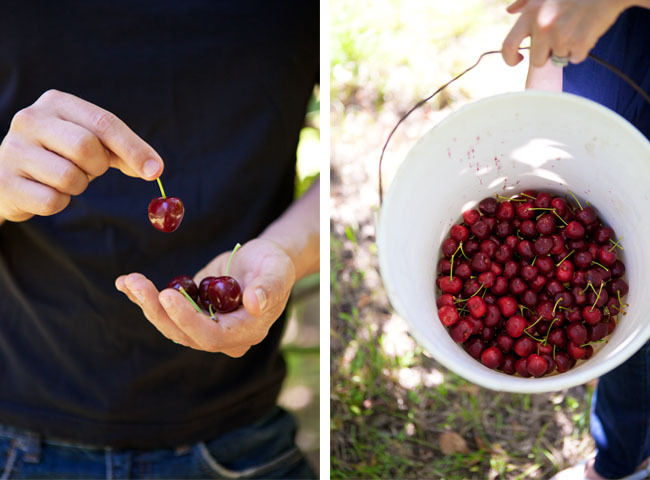 Love the spontaneity of stopping to pick cherries, love the photos. Such a wonderfully summery thing to do! 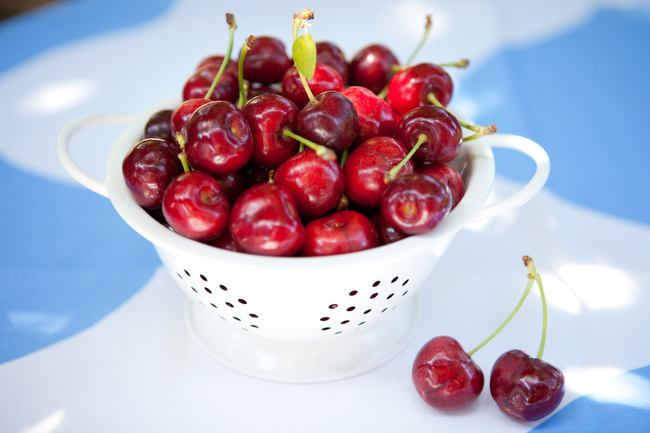 Makes me want to go pick cherries and make a homemade cherry pie! 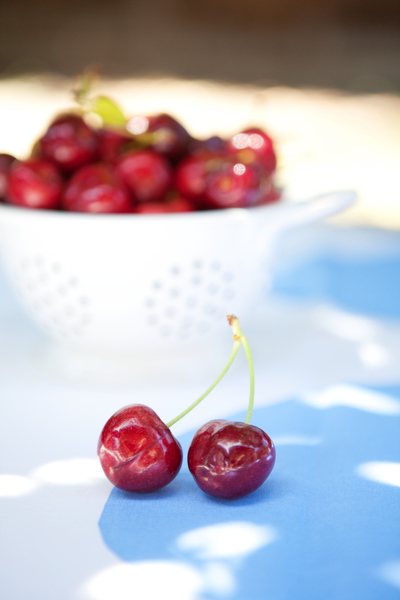 I don’t know which is more beautiful: the photographs, the cherries or the gorgeous people eating them.